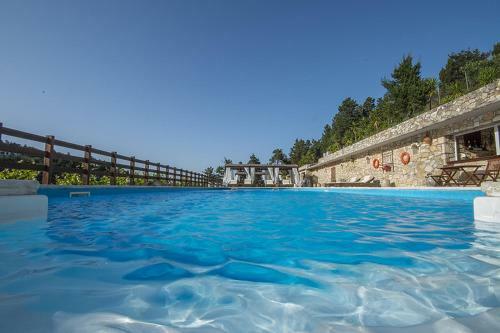 Santa Marina Villas is located near the beach in Porto Ozias, Paxos. The villa offers to its guests bar, garden, bbq	and outdoor swimming pool. The property accommodates visitors in family room, 2 bedroom apartment, 1 bedroom apartment, apartment (delux) and other might be available upon request. The rooms offer garden view and mountain view. Amenities of the rooms include a/c, heating, tv, satellite channels, fridge and more. The kitchen is equipped with hot plates, toaster, kitchen utensils, fridge, microwave and oven.